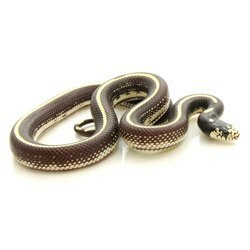 Check out and enjoy our huge selection of King Snakes for sale online. We have a large variety at awesome prices. King Snakes are a great beginner snake, and stay on the small side. Most king snakes readily take frozen thawed rodents, and they come in a huge array of colors. It is very hard to chose which king snake to buy! All our King Snakes are captive bred, feeding a minimum of 10 times before shipping and they come with live arrival guarantee. When you purchase a King Snake online from us, rest assured, you are getting a top notch, captive bred animal. King Snakes have soared in popularity lately. We have probably the largest selection of King Snakes for sale online anywhere in the world! Spring and Summer is the main season where we have dozens of varieties and species, and they go fast!